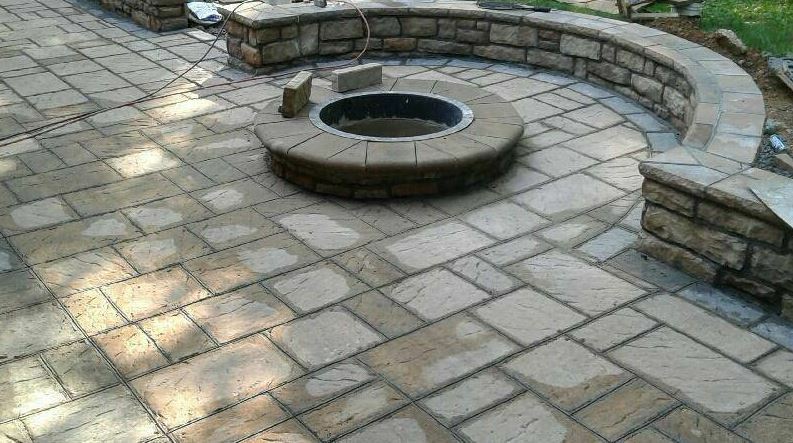 Our company specializes in stamped & paver driveway, patio and slab repair & replacement, but are also skilled with staining, overlays, polishing and overall professional cement installation. Our company has been climbing up the ranks in Virginia Beach and even began to take over territories like Norfolk, Portsmouth, Chesapeake, Suffolk, Hampton and Newport News. That's what we said when our previous customers who hired us to do their cement project, no matter if it was a driveway repair job or a full blown cement patio build, started to recommend our company to all areas of Hampton Roads. Next thing we know the calls are swarming in from Newport News, Chesapeake, Portsmouth and Norfolk. ​This happened a couple of years ago, when we were evolving, both in the way our company does business and the way our customers are being supported. You see, the company was striving to do the best work in the least amount of time, which was impressive, but it didn't matter if it was replacement or resurfacing, the customer would still not be happy unless we were to change the way we interact and satisfy our clientele. It's no surprise that so many companies in Virginia Beach start off their journey into business enthusiastically, but somewhere along the way they simply lost hope and all that motivation that was there from the start. Our company has been through that time as well. What made us keep going and building all that beautiful concrete constructions was the fact that we saw companies in the same market, with the same skills and far worse customer service that we were providing. It wasn't long before we figured out that our problem wasn't the work we were doing, not our prices and not over the cost of cement installation, the real problem was obscurity. ​The market didn't know who we were and we didn't take the time to do our research to find out how many people are searching for driveway contractors or even things like concrete repair. We simply didn't find out what the interest and the needs are of our clientele, leading to us not being able to satisfy them. Well, enough about us and our company, if you'd like to read more about the way we evolved, click here to go to the about page. Most popular and highly demanded would be repairs, installations, replacements & repaving for all types of surfaces, to include your home's driveway, sidewalk & floors. 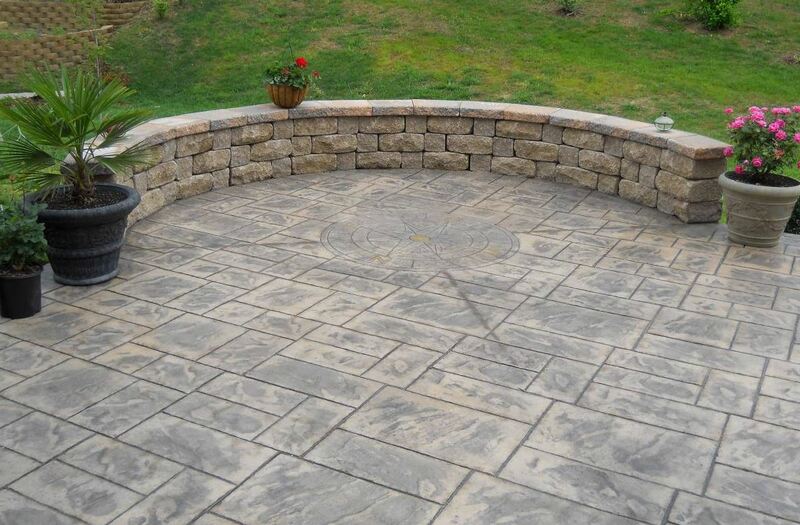 We are highly skilled in stamped & stained concrete as well as laying slabs. ​The amazing list above is almost a full array of service we provide. For details on each of the service please call us at (757) 347-8337 or continue reading for a brief description of each. 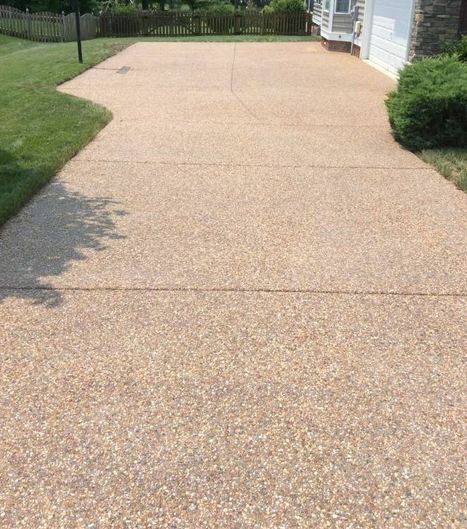 As local cement contractors especially in Virginia Beach, we receive tons of requests daily regarding driveway repairs, resurfacing and replacements. Many of our customer understand the importance of upkeep and maintenance while others, mostly new clients, don't realize how important it really is until it acquires cracks and then it's either crack filling or a new driveway. Even though we do love doing replacement jobs, we feel that it's important for you as a home or a business owner to take care of all concrete structures located around your home and office. 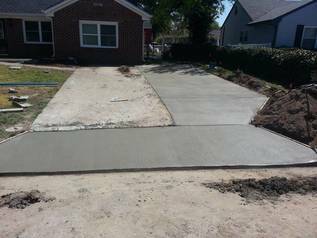 If you're in a situations where concrete driveway replacement is imminent, go ahead and call us now at (757) 347-8337 ​, but if you feel like you're not there yet and some polishing is all it needs, we suggest looking up some tips online about Do It Yourself driveway repair and maintenance. Find out more about driveways. Even if your family is planning on staying in the current home and you're not worried about it's value, wouldn't it be an awesome idea to invest into a concrete patio for your back yard and enjoy it with the whole family? 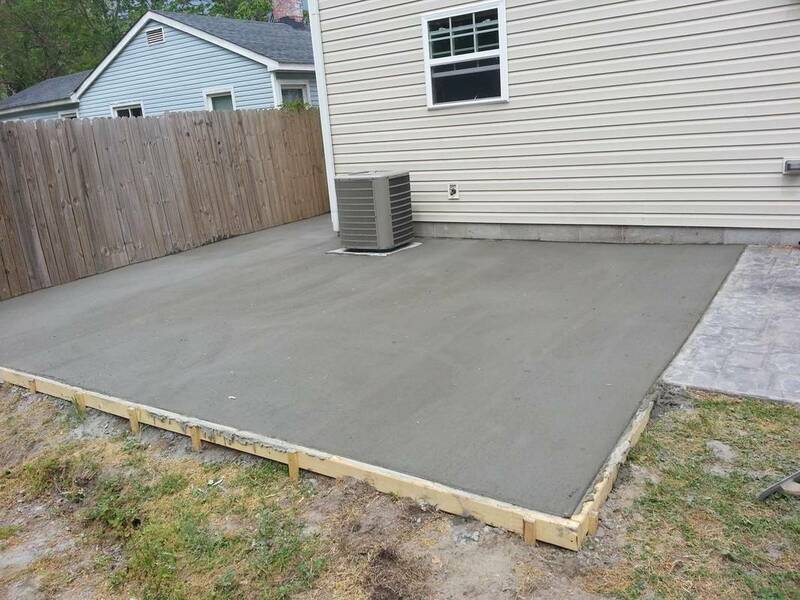 Here at Concrete Contractors of Virginia Beach we firmly believe that a concrete patio for your home isn't just a sound investment and a boost in value for the property, but also an amazing time for family, friends and relatives that come to visit. Why not do the right thing and call us at (757) 347-8337 and get an estimate. Visit our concrete patio for more info. Slabs are our favorite. We've actually done a poll within our company and have found that 70 percent of the people prefer doing stamped concrete and paver installation. Isn't it strange? We thought so too. When all you do is concrete all day, every day and your life essentially revolves around driveways, patios, slabs, pavers and doing repair, resurfacing and replacement of them all, mind starts to think differently. You know you've got an issue when you're dreaming of concrete work and talking in your sleep about the new driveway you're about to install. ​It hasn't happened to any of our guys yet, but we can smell it coming. 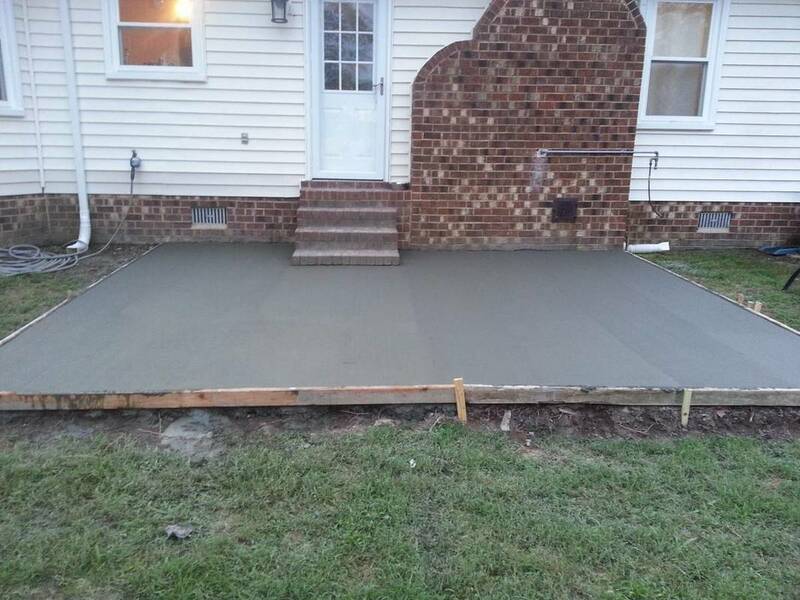 Anyways… Our slab work is well known in Virginia Beach, Norfolk, Chesapeake, Portsmouth and beyond. We have always been and will remain the authority on slab installation, repair and everything else in between. If you are intrigued, give us a call now at (757) 347-8337 or simply continue reading. You can also check out our concrete slab for more info. Currently, we don't offer resurfacing services, due to our workload. Looking to get your stamped concrete resurfaced, give us a call! Whatever type of cement leveling work your need done we do it all. Need driveway resurfacing performed? We're on it! Patio done? We're on top of it too! Simply give us a quick call, schedule a time to come out to your home or place of business and we'll give you a fair estimate on the cost of your new driveway, patio and slab! Still undecided? Then go ahead and fill out our free quote form above and we'll get in touch with you at our earliest convenience. ​​Believe it or not, but a while back we were taking example and learning from top dogs in the market at the time like century, dave and atlas concrete. Those guys were on top of their game and our small at the time company was striving to become the synonym to the phrase awesome work! ​We firmly believe that as a cement patio, slab and driveway company for all residential and commercial projects, we have definitely achieved that as soon as our daily operations and priorities shifted. 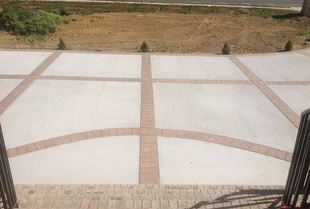 One of our specialties is stamped concrete work! Whether it's a repair, installation, polishing or anything else, we do it and are amazing at it! 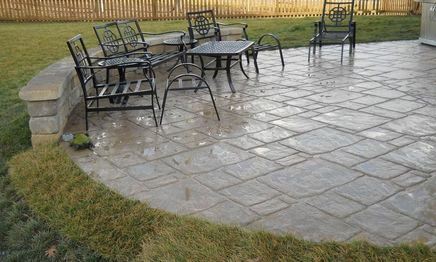 Looking for a stamped concrete patio? We do that too! 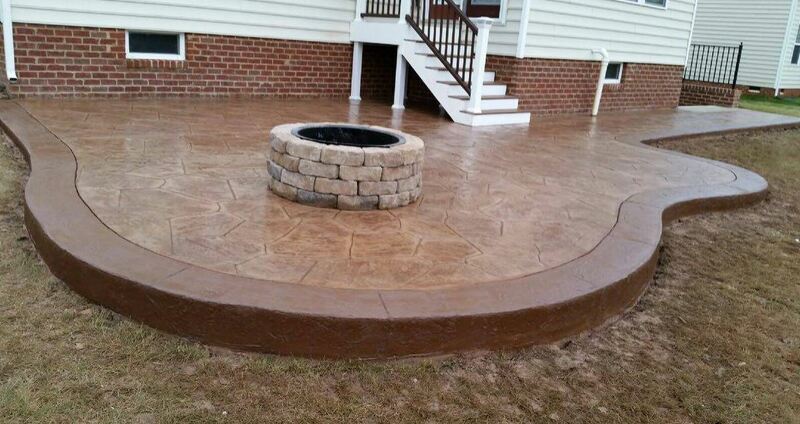 Did you know that we are the number one stamped concrete contractor in Virginia Beach? When hiring a contractor, size of the company doesn't always mean the best experience and top skills. We feel that the effort, combined with skill and high work ethics is key to customer satisfaction and incredible outcome. ​ If you are looking to experience the most amazing customer service, get the best bang for your buck and have fantastic stamped work done, then give us a call now at (757) 347-8337 to schedule your free estimate, you won't regret it! We only do crack repairs that lead to partial slab replacements. Our company does not offer crack filling. We would like to go a little more in depth after talking about concrete driveways. It is our opinion and our customers generally agree, that a driveway doesn't always have to be repaved and replaced, especially since it can be a bit costly. Yes, cost of a concrete driveway is very high compared to driveway repair. We love saving our customers money by providing them with our most honest evaluation and opinion based on their particular situation. It's not all about monetary gains to us, but much more about serving the community and growing with it. Virginia Beach has been our company's home and home to most of our crew, so we really do care about the community and are investing back into it the best we can. What does this mean to you? It means that our paving contractors, each and every one of them will treat you and your property as if it were their own. We make it a priority to build a great relationship with our customer. ​Trust is paramount to the success of that relationship and overall success of our company. If you would like to find out more about us, our work and our values, don't hesitate to call our number (757) 347-8337 or feel out the contact form above for your free estimate.. 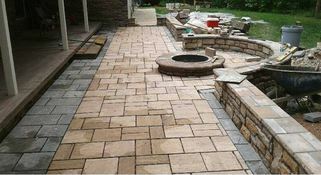 Whether you're in search of the paver stone installation professionals or a, your search ends here. 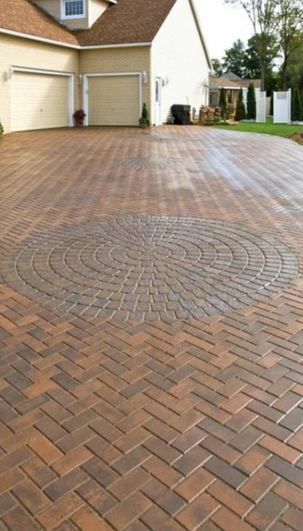 We provide all services related to pavers like installation of paver patios and driveways. It is funny how pavers is a name for the type of stone used for paving, but also, pavers are people or companies that do concrete paving, resurfacing, repair and replacement. 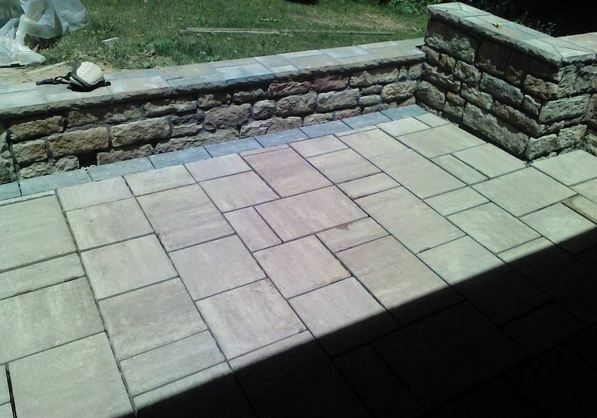 Believe it or not, we get contacted a couple of time per week by people who are in search of driveway pavers and are actually looking to buy the stone and try doing the work themselves. We are all for the do it yourself approach as long as you're equipped properly, have the necessary knowledge to accomplish the work and are not compromising safety of your home and the family that lives in it. Often times those who have called us by mistake trying to buy paver stone, end up calling back within the next week or so in search of new contractor to pave their driveway and a patio. ​Something worth mentioning though is that we don't currently deliver just raw cement. In the past and even currently we have been receiving calls to get cement delivered as if we were a factory. We would like to clarify that we do only repairs, installations, resurfacing and replacements. No concrete or cement delivery service unless we are going to go ahead and install it as well. It can be tough deciding between the million different companies in Virginia Beach, but what we would love for you to do is to simply call us and let us give you a fair estimate for the concrete work you need done. Our prices are very reasonable and the quality of work is outstanding and speaks for itself. It's totally understandable that driveway repair or replacement can be very costly and price shopping is necessary, but sometimes that very first company you call is the best fit for you. Contact us today! If you pick up a phone book and begin to thumb through the yellow pages, you will find at least a hundred (well, okay, maybe not exactly 100) businesses that are available at the ready to assist you or your business with just about any of your cement needs. Many of these businesses have a variety of services that they can offer you. Some may only specialize in one or two things, while other companies can offer more services and be more than your standard, run of the mill “we pour concrete” type of shop. There are so many modern marvels of the world and many of them couldn’t be done without the expertise and the know-how of someone who knew how to properly work with concrete. Drive down any highway and you will see construction sites, highways, bridges, dams and tunnels and we put confidence in that structure, depending on it not to fail as we drive near, over or through them. We take for granted that the people who built that structure took all load considerations and safety precautions seriously, and made them a top priority when they created that structure. Without the safety considerations and the expertise of the folks who built the Hoover Dam, for example, the area that it protects and the people who work on and around it would be in grave danger. The Dam, a true modern marvel, constructed of 650,000 cubic yards of materials, took many years to build, and was done without much of the modern engineering services and tools that we have on-hand today. Unlike building the Hoover Dam, most of the businesses we may find in the phone book aren’t expecting you to call them to build a Dam in your backyard. But they are prepared to come out to your site and do a visual assessment and give you a quote for whatever it is that you have envisioned in your head. Sometimes, if you do not have any idea of what it is that you want or need, other than knowing that ‘the project needs to get done,’ they may offer the services of their onsite designers who can plan a visual representation of your site for you and offer you a variety of design solutions that fit both your needs and your budget. For some people, this seems like a dream come true! For others, it can be an absolute nightmare, because the idea that they may have thought it seemed like a good plan, suddenly doesn’t seem so good, or reasonable in price. Many of these businesses have the proper tools at their disposal at their business site that they will bring out to your home or property, while others may rent the heavier equipment and, in turn, extend that fee over to you, and calculate it into the total cost of the project you are asking them to do for you. Some businesses offer a variety of services that, as I said, might extend beyond just pouring slabs or walkways. One service, often enveloped into the industry is that of masonry work. Being an experienced bricklayer is important, especially when you can lay pavers with a quick turnaround and for a decent price for your labor. Masonry is extremely popular in that they not only build foundations and lay bricks to build entire homes, but they also lay pavers for driveways, walkways and retaining walls. Other businesses may offer you the services of installing pre-made tanks that are built at the jobsite or built ahead of time and brought in. These tanks may be used for septic systems, water tanks or oil bilges under the surface of a property. Sometimes, a property that can do a job like this will also be called out to pour a pool foundation. Being able to mix the concrete in industrial size mixers and pour the it onsite makes the project that would otherwise be very arduous for a DIY person to do, suddenly can make that homeowner feel that the money was well spent in having a professional take care of the job. 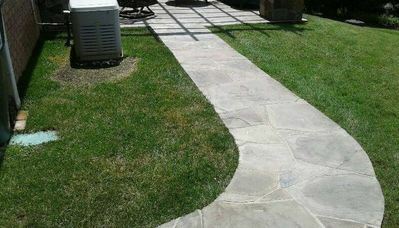 We do all types of work ranging from your home's driveway all the way to patios, slabs and much more. Most things you have in mind we can most likely make happen for you. Our specialty are residential services, but our company is looking to start working on more commercial projects like concrete parking lots. If you're unsure as to whether or not we're a right fit, simply give us a call and we can tell you for sure. We do reschedule, only when necessary. Most of the time, weather can cause a scheduled paving appointment to be moved. When it comes to appointments for an estimate, those get moved around very rarely. If the sun is out and no clouds are around there should be no issues. Have you done any financing deals for larger projects? No job yet has been large enough for people to ask for financing. It could be because we do have amazing prices or the fact that we haven't been doing commercial construction work. We are definitely open to discuss financing options if you have a large enough job for us to complete. Want to find out more? Give us a quick call and let us know what your situation is. What is your time frame to install an average sized driveway? Generally, if we've done the free estimate and the customer is happy with the price, work can start as early as the next day. More often than not, if there are no major issues with pouring and weather, your fresh driveway can be completed the next day. Every new customer and their situation is different, but next day completion is not all that uncommon with us. Which areas of Hampton Roads do you serve? We are based in Virginia Beach and most of our customers come from VA Beach, Chesapeake and Norfolk. We do however provide our concrete services to residents of Portsmouth, Newport News, and Hampton, so if you are located in that area give us a call and schedule your free estimate today. Who is your average customer? From what we've seen, home owners, apartment managers and real estate agents are our best customers. All of the work requests we get from them are residential properties and the satisfaction rates are awesome, judging by our reviews. Do you consider work from outside of Hampton Roads and the state of Virginia? Absolutely! We have quoted residents from North Carolina before. The process is still the same for us and the estimates are free, but we won't come over more that once unless we are going to do work for you. It's nothing personal, just every time we have to drive over, it costs us much more time and money for gas, than to stay local. Please be considerate of our time and we can work something out. Unsure if you're too far out? Don’t hesitate to call us and we'll help you out. Definitely! We specialize in all cement related services. Things like repairs, resurfacing, installations and sealing, we do it all! Have a different service you need done? Call us and find out if we can do it for you. ​Our work ethic is amazing, we live and breathe concrete (not literally of course) and we are eager to impress each and every new customer who gives us a call. Our number is (757) 347-8337 so please don't hesitate to call.